I love discovering new, mouth-watering hotspots in Amsterdam that pay homage to my homeland. And while it’s fairly easy to find a decent burger and fries in the ‘dam, there are some styles of American cooking that are hard to come by in the Dutch capital. American soul-food tops the list in terms of both flavor and rarity, with very few Dutch restaurants serving up delectable southern classics such as hush puppies, gumbo, or jambalaya. 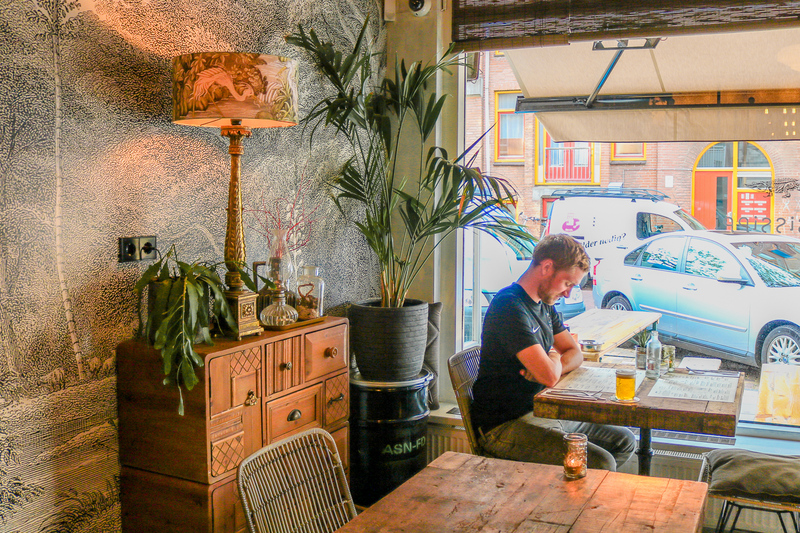 So you can only imagine my delight when I stumbled upon Mississippi Bar & Kitchen, a rare Amsterdam gem featuring cuisine that can be found along the winding Mississippi River in the States. It makes me sad to write this, but I think summer is over in The Netherlands. I’m once again contemplating what sweater to wear to work, and the nights have gotten increasingly cold. Last week I had dinner out with some friends, and one of them brought a pair of gloves for the bike ride home! So it’s definitely that time of year again – when your body craves heat, and huge bowls of hearty soul-food are incredibly welcome. And so just on the cusp of fall, Kai and I made a reservation at Mississippi Bar & Kitchen, to fill our bellies with warmth, beer, and southern comfort food. The space was incredibly cozy, with thematic nods to the southern United States that felt more classy than kitsch. 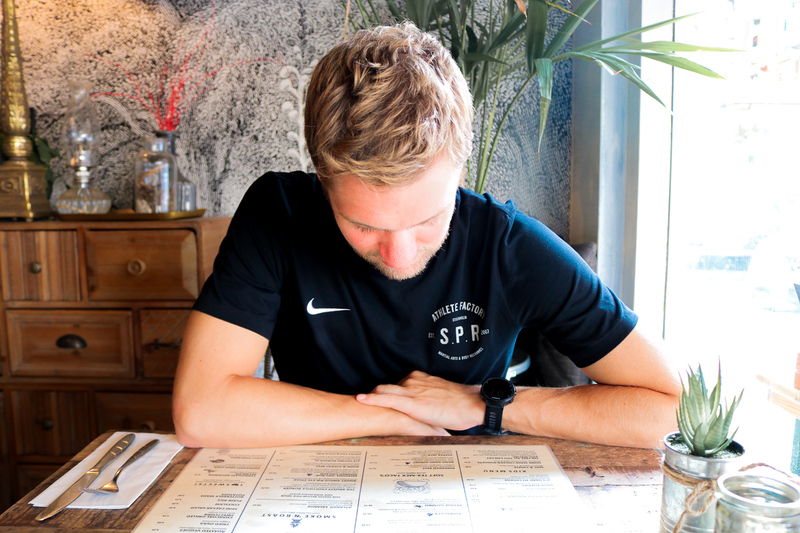 We perused through the menu and decided to order dishes that we hadn’t yet discovered in Amsterdam – which was tough as there were plenty of unique options ranging from Tex-Mex to Louisiana-cooking. However, the hush puppies and hotwings with homemade pickles called to us, and so we kicked off the meal with two red baskets, each bursting with flavor. It’s hard to find good hot wings in Amsterdam, and these were by far some of the best I’ve had in the city – not too spicy, incredibly crispy, and garnished with fresh pickles to cut the heat. For mains, I got the Gumbo Jumbo and Kai got the Jambalaya, although it was a tough decision as the Crabby Steampot and the Crocodile Burger also called to us with equal enthusiasm. In the end, the rich stews were what the weather had us craving, and we were happy with our selection when the large, steaming bowls arrived at our table. Back in the States, my mom used to make jambalaya regularly, and Mississippi Bar & Kitchen really nailed the flavors traditionally fund in the dish. The dish wasn’t quite as heavy as my mom’s, with a lighter broth and a heaping pile of vegetables hidden in the stew. Just when we thought we couldn’t possibly eat anymore, we noticed that there were pancakes on the menu for dessert! Yes, pancakes are traditionally a breakfast food in the States, but you wont hear this gal complaining! Stacked high with berries, sugar, and ice cream, these flapjacks were fluffy and fun, and the star of the meal for Kai! It was the best way to end a warm and hearty meal. Overall, we really loved the vibe of the restaurant, and hope to come back again on a weekend night for cocktails when the bar is more hopping. As it was, we stopped by on a Monday evening, which was busy but not packed. For a weekend night, I’d strongly suggest booking a table, which you can do on the reservation page here. 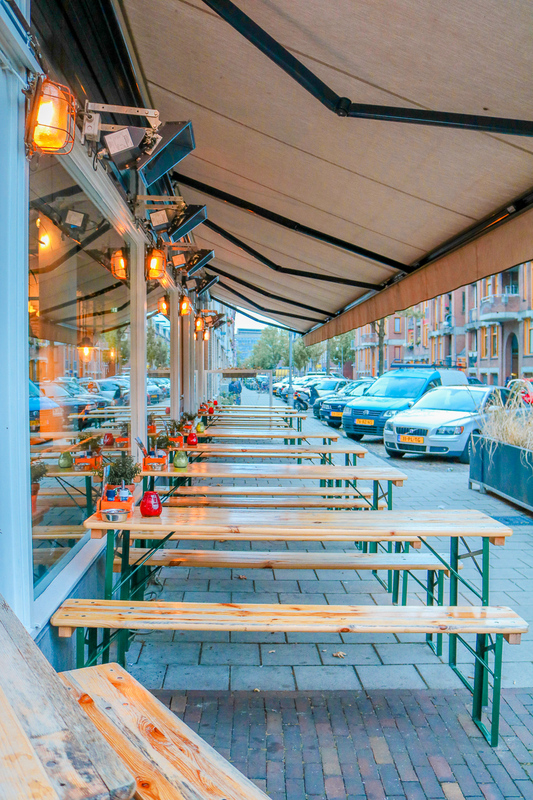 We’re stoked that we can now enjoy jumbo and hush puppies in Amsterdam, and will surely be back for seconds! If you’re interested in checking out Mississippi Bar & Kitchen, you can find them at: Beukenplein 50, 1091 ML Amsterdam, Netherlands.